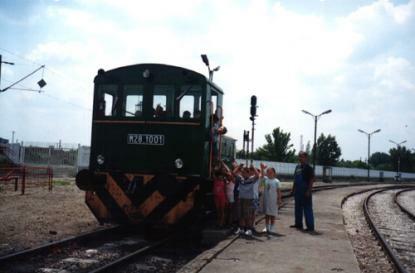 The Hungarian Railway History Park - the first interactive railway park in Europe exhibits more than 100 railway vehicles on about 70.000 square metres, at the former Northern Towing Establishment. This establishment was opened in 1913, and was the biggest towing establishment of the time. During the second world war the whole of the Hungarian railway, involving the towing eatblishment, was seriously demaged. The building of the heating house was totally destroyed and never buit up again. After the war the towing establishment was named after Kató Hámán. Because of the spread of diesel and electric running - and the ceasure of the steam - the heating house got less and less important and totally depreciated by the beginning of the 90'ies. After the change of regime it regained its original name, but the diesel engines operating here were moved to another region in 1997. 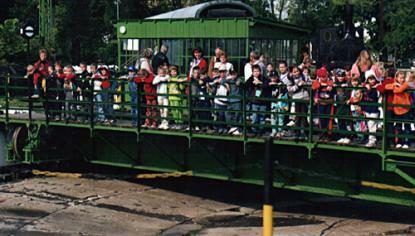 On 22nd November 1999 the cornerstone of the Hungarian Railway History park was laid.m The reconstruction works of the towing establishmnet were started. 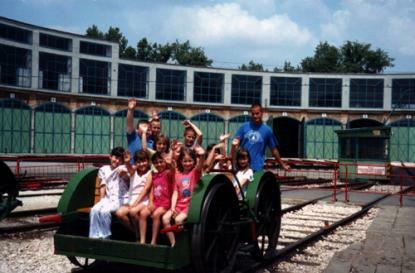 After serious works completed the first interactive railway park in Europe was opened on 14th July 2000. The renovation of the other parts in the former establishment is an ongoing procedure eversince. It was an important purpose of the founders not only to operate the park as an exhibition but to show appliences that can be tried out as well. Because of lack of space, machines are exhibited both inside and outside of the heating house. The development of the railway is presented on a scale spanning from steam engines of the 1870'ies through the powerful electric engines. 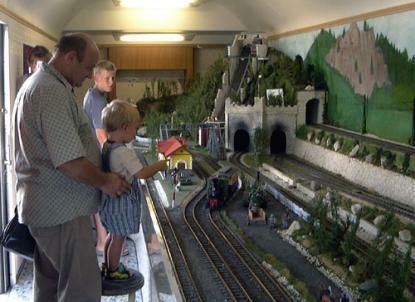 Models are also exhibited in a separate building where the the Hungarian Union of Railway Modellers is introduced. The technical character of the park is balanced by the attractive landscaping. Visitors can pop in for a drink or meal to the nearby Cofé, pub and buffet. The nice athmosphere and the great variety of the exhibited materials offers a wholday programme for each member of the family. Visitors can travel to the park free of charge from the Nyugati railway station. The park can also be reached by bus number 30. (Getting off is at the Rokolya utca bus station. There is a free car park and bycikle store at the park.